Public Translations "Translation from English to Japanese "
Public Translations "Translation from English to Japanese " - requests for public viewing. 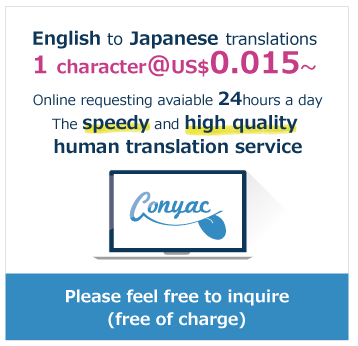 Currently, there are 23416 public requests available for the language pair: English to Japanese. For a more refine search, use the search bar or click on more tags such as Business, e-mail, E-commerce, Communication, Music, Article, Tech, Email, ASAP, hurry, technology. I'M INTERESTED IN SOME OF YOUR DISNEY COINS.